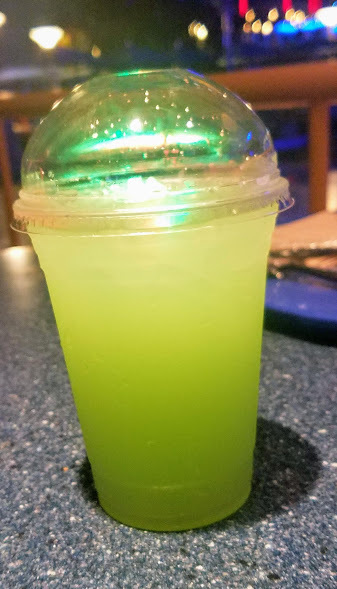 First up is the green apple lemonade with a glow cube! Now many of you know that I am not a fan of anything sour but I do love green apple! The sour is very subtle and the drink is very refreshing! I would get this again! 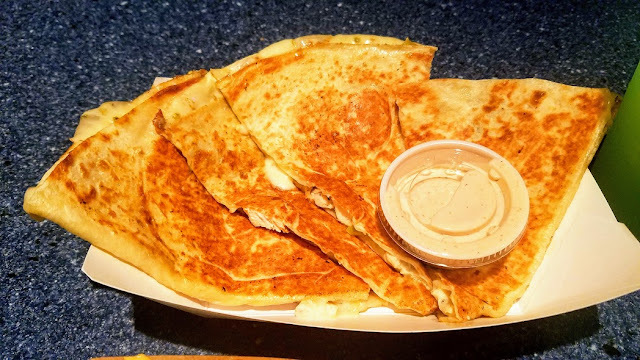 Next up was the Lunar Space-adilla, a quesadilla with pepper jack cheese, Ortega chiles, chicken breast and served with a chipotle-ranch sauce. This was really delicious! 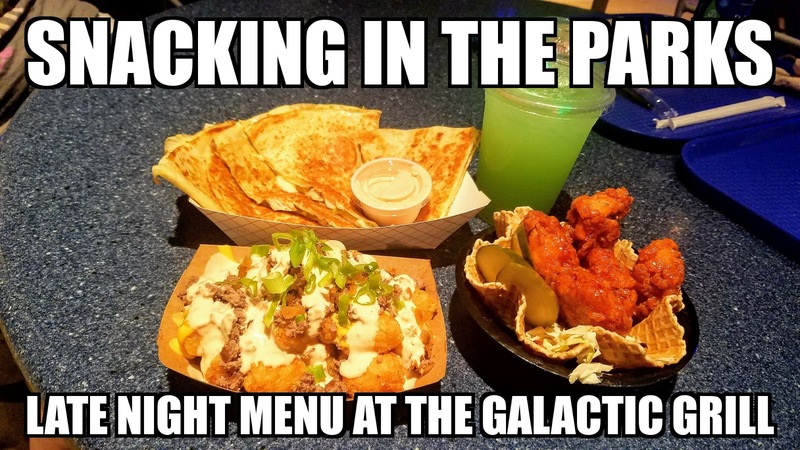 My friend and I both ate the entire thing and the dipping sauce is a must. There is just the right amount of kick in it for me and I love spicy while my friend Dee does not like spicy but she loved it as well! We also got the sweet chili sauce Star Clusters, a waffle bowl filled with crispy chicken bites over a blue cheese cole slaw and pickle chips. 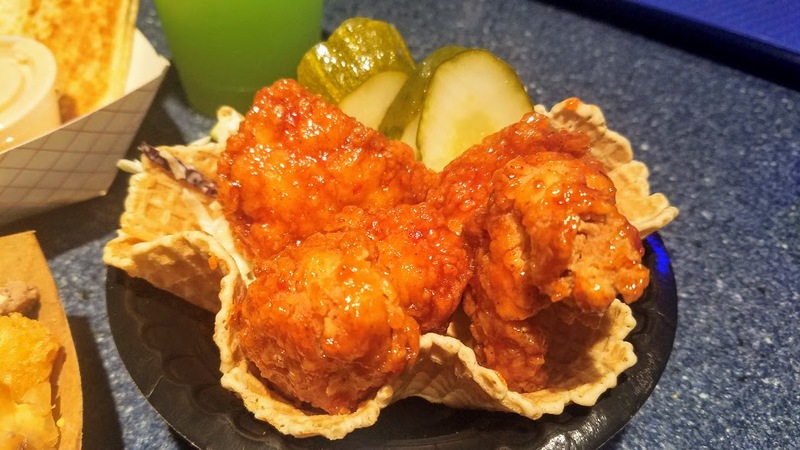 You can also choose from buffalo sauce if you don't like the sweet chili sauce. The chicken bites are large and flavorful while I wish the blue cheese cole slaw had more blue cheese. I love pickle chips and the waffle bowl was great but too bad it couldn't have been an actual waffle. 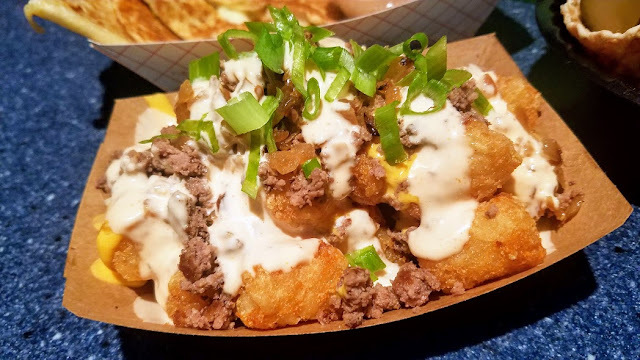 Last but not least is the Meteor Potato Bites, tater tots topped with chopped ground beef, caramelized onions, house sauce and sharp cheddar cheese sauce. The best way to describe this is animal style fries from In N Out! Seriously that good! So a great menu if you are at Disneyland late! Now off to find more food in the parks!